Melting Vinyl are part of the philosophy that everyone deserves to hear great music; that is why were are constantly committed to delivering free shows when we can. This Autumn, we are pleased to bring you three exceptionally diverse and unique shows that are free entry! 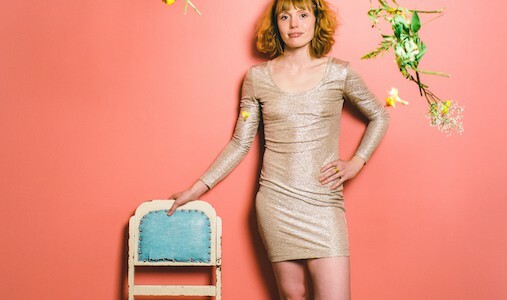 Minnesota’s Haley Bonar (Memphis Industries) is more than a hard working musician. She is an innovator, creator and visionary, dug into the trenches of living. She writes genuine, epochal and poetic tales that feel like our heartbreak, failure, frustration and joy. In a clear, insistent and often haunting voice, she tells real stories back to us, as if they were our own. Support comes from Brighton’s Garden Heart. Driven by 3 part harmony, Garden Heart are a 5 piece alternative pop/rock band currently based in Brighton who draw influences from artists such as Bombay Bicycle Club, Friendly Fires, Florence and the Machine, Wolf Alice and Daughter. Tinged with a sadness that is reticently uplifting, Southampton indie-pop four-piece, Pale Seas, fronted by Jacob Scott , capture a sprit that speaks to the heart. Since their first studio session, Pale Seas have continued to build on their success. Their first single ‘Something or Nothing’ sold out in a matter of days and was included on Radio one’s Introducing playlist, and won them a host of shows, including support slots for The War on Drugs, Beach Fossils and The Lemonheads. Support comes from Sophie Jamieson. Having begun as a solo singer-songwriter, Sophie Jamieson’s project has evolved rapidly into something ambient and haunting. What were once quiet, melancholy folk songs are growing in strength and gaining atmosphere at the hands of her band, to provide one of the most engaging live sets taking place in London. Alphabets Heaven, Shinamo Moki, Momotaro, Foreign Skin & Friends (DJ). The start of a new series of eventful nights curated by MV friends/punters with great taste and music to share. With a focus on sub-pressure and home recordings, Alphabets Heaven, has been seen supporting the likes of Baths, Onra, Daedelus, Tokimonsta and Toro Y Moi on recent UK dates. Brighton based Foreign Skin, an audio/Visual, self styled producer of sample based electronic, ambient and hip hop music.